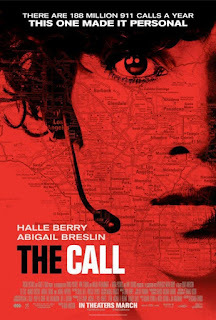 Jordan Turner (Halle Berry) is a 911 operator who makes a careless mistake on the job that results in a teenage girl being kidnapped and murdered by a serial killer (Michael Eklund) in the suspense-thriller THE CALL. 6 months later Jordan finds herself on a call with Casey (Abigail Breslin), a teenage girl who awakens after being drugged by an assailant to find herself in the trunk of a car. Three guesses who her abductor is, and the first two don't count. Now it's a race against time to find Casey before she becomes the killer's latest victim, and Jordan is taking it personally. It all feels very recycled and by the numbers, a bland but competently made 'B' thriller with minimally fleshed out characters. Even the third rate Buffalo Bill knock-off we're given as a villain fails to bring any chills or excitement, or even campy laughs, to the proceedings. Movies like this can sometimes rise above their so-so scripts with the help of strong, stylish direction, and given past efforts like SESSION 9 and THE MACHINIST Brad Anderson is just that. His direction here, however, is indifferent, putting no real visual stamp on the film nor imbuing the action scenes with much excitement. It's pure work for hire. About the only thing of any real interest is how, intentional or not, we're reminded of the way the media covers the disappearance of photogenic types like Natalie Holloway while ignoring countless other abductions and murders. The general attitude seems to be that the life of one pretty young (usually white) girl is of greater importance compared to the lives of some others. And so in the film, Jordan barely registers any remorse when her advice to Casey leads to the deaths of a couple minor characters, nor are these deaths staged in such a way as to make the audience care – they simply serve to increase or feelings of tension and concern for Casey. Sorry, guys, but you weren't nearly as cute as Abigail Breslin. 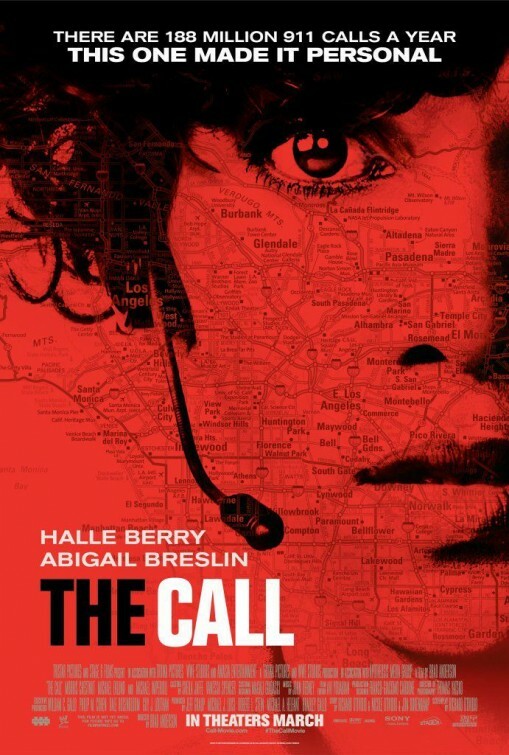 While it's not horrible, THE CALL isn't a movie that should be opening on hundreds of theater screens nationwide; it should be premiering on the Netflix instant queue alongside other recent misfires with name stars like Jessica Alba's THE TALL MAN. There, lowered expectations and a few adult beverages could make one's viewing experience a little more enjoyable. Those who pay 10 bucks to see this while stone cold sober may be somewhat less forgiving. 2 out of 4 stars.